As the Deskjet 720C is rather an old printer, do you think that the ink cartridges will be available in the next few years? It's not possible to say for certain how long these cartridges will be available as some manufacturers do stop producing certain cartridges if there's very little demand for them. However, we currently sell a lot of the HP Deskjet 720C cartridges so it's unlikely that they'll be discontinued any time soon. You may wish to contact HP directly to investigate this matter further. For everyday printing, the HP 720-C offers a great combination of speed and reliability. It won't be long before your HP 720C will gobble up all of your printer ink, and when that does happen you'll quickly see that replacement HP 720C ink is normally really expensive. But you have no reason to worry about paying the high prices you'll get on the main street because here at Cartridge Save you can pick up all the HP 720C cartridges you'll need at low cost. Start to save money on your ink by purchasing with Cartridge Save! There's little sense in paying so much for the 720-C original cartridge or 720C compatible ink on the main street when it is much more straight forward to save your hard earned cash shopping with Cartridge Save. You enjoy full peace of mind by ordering your DeskJet 720C ink cartridges from us because everything is underwritten by a quibble-free money back guarantee. Keep in mind that every purchase also has free delivery, most likely arriving at your door on the following day! 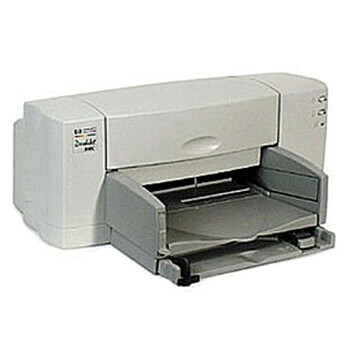 Built for photo printing, the HP Deskjet 720C inkjet printer was one of the best of its kind back in the day. A few years later, this device can still be seen in many homes, offering the same reliability when it comes to printing scrapbook-worthy pictures. The HP Deskjet 720C offers maximum resolutions of 600x600 dpi. It is a convenient and low-cost alternative to more recent units, although it prints at a slower rate and produces significantly lower-resolution photos. Adopting the classic box type design of the Deskjet 700 series, the HP Deskjet 720C printer comes at a convenient size that can easily fit any desktop. The machine features 512 kb of built-in RAM and standard USB and parallel port connections. The HP 720C inkjet printer has a low-capacity input tray, and a 50-sheet output bin, for keeping print media secure. The HP Deskjet 720C also uses HP's acclaimed PhotoREt and RealLife imaging technologies, which guarantees good quality images. The HP Deskjet 720C is a convenient machine to use especially for those who want the simplicity of a basic photo and document printer. It can be used with a wide range of print media as well as all major operating systems, and print resolutions, while not as impressive, are good enough for producing quality images. The HP Deskjet 720C prints slow at 4 ppm in colour and 8 ppm in black and white. This may be a hassle for demanding office environments, which is why the Deskjet 720C colour printer is best used at home. Also, the Hewlett Packard 720C printer lacks network support and does not have memory card slots for direct printing.